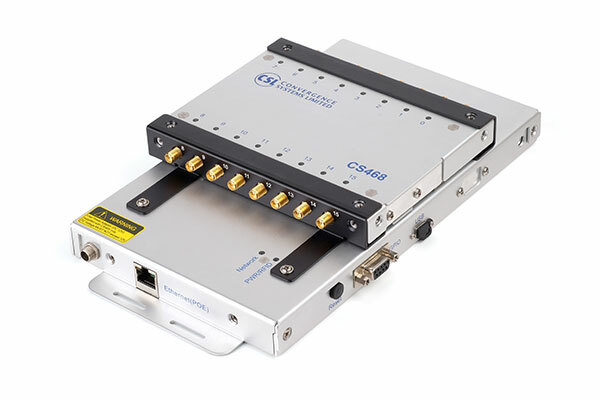 CS468INT 16-Port Reader is the derivative of CS468 with integrated upper and lower body to give 3dB higher output power. The reader is an Ethernet POE connected UHF EPC C1 G2 RFID reader that contains 16 ports to connect to antennas that enables one reader to manage large areas and provide location based data. This reader boasts the lowest per read point deployment cost in the industry. The reader has very high speed antenna switching, making it suitable for exceptional fine grain multiport operations including smart-shelf for jewelry retails, document control, libraries, multi-lanes reading for vehicle tracking, and applications that either continuous monitoring or periodic inventory of large number of separated areas is required. RFID Reader comes with the same API as CS203 and CS469 – CSL Unified API, so application development time and cost are reduced, resulting in a faster time to market.